Join our online precepts study group, facilitated by Petra Zenryū Hubbeling on Zoom. Our weekly classes will be one hour long, beginning at 4:00pm Eastern time on March 31 and ending on May 19 (except April 21). Anyone interested in learning more about the precepts and their relevance in your life and the world today, is welcomed to join. No previous experience with Zen is necessary. The root of all Buddhist practice is ethical conduct, which is why we study and practice in relationship to the 16 Bodhisattva precepts. Therefore, each year Bread Loaf Mountain Zen Community offers practitioners an opportunity to deepen their relationship with the precepts and, if they so choose, make a public statement of their intention to do this practice by formally receiving the precepts in a ceremony called Jukai. In this lay ordination ceremony the precepts are received from a Sensei Joshin Byrnes. 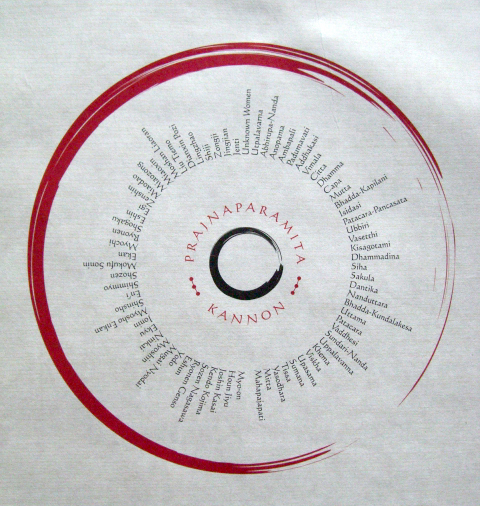 At the ceremony, you receive a Dharma name, your simple robe (rakusu), and the lineage paper showing you as part of our Soto Zen lineage family. Receiving the precepts also strengthens and formalizes one’s relationship with the Bread Loaf Mountain Zen Community. Jukai ordination is not required or expected of students taking the precepts class. Most people who take this step find it very helpful once the time is right. Others choose not to take this ritual step, but want to study the precepts. Whether or not to take this step is up to you. It is also valuable to study the precepts without taking jukai. Again, the choice is yours. All precepts students study the precepts by reading one or more books and examining their own attitudes and life experience with each precept. We also ask that the group of students meet together to explore the precepts in conversation and community. 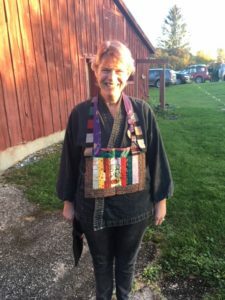 Petra Zenryu Hubbeling will facilitate our precept study group this year, and Joshin, working closely with Zenryu, will chime in every now and then along the way. Please use this form if you want to join the precept study group. Support the Vermont Bookstore by buying the books through this links. As precept study proceeds, if one seeks to receive the precepts in Jukai, he/she asks Joshin for permission to start sewing a rakusu, the bib-like garment that represents Buddha’s robe. The student sews the rakusu with the support of Zenryū. This sewing is a meditation practice itself – one takes refuge in Buddha, Dharma, and Sangha with each stitch. Once the rakusu is done it is sent to the Bread Loaf Mountain Zen Community at least a month (September 5th) before the Jukai ceremony is scheduled (October 5th). Prior to the Jukai ceremony the teacher writes your new Buddhist name on the back with his seal and an encouraging Dharma phrase. If you wish to receive the precepts formally in the Jukai ceremony please speak with Joshin or Zenryū by sending an email to info[at]breadloafmountainzen.org. The Sixteen Bodhisattva precepts are a guide for living and points of practice. When we receive the precepts in ordination ceremonies these are the precepts we agree to study and live by. Read more about the precepts here.